CONVOCATION 26 February 2017: Stop making war! 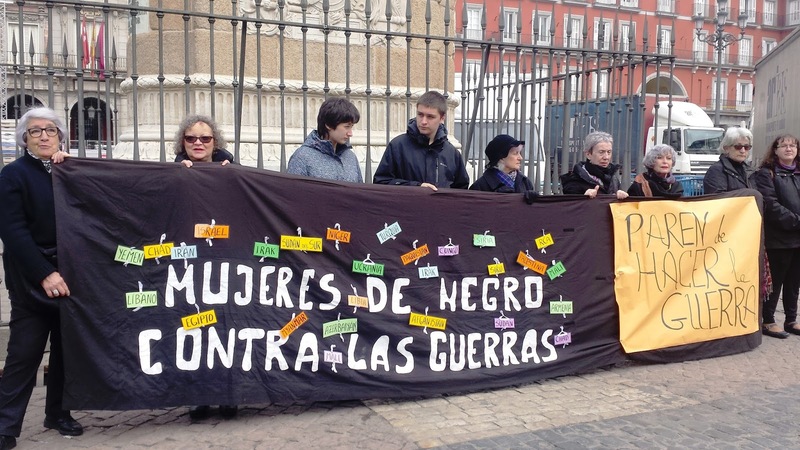 Women in Black continue denouncing in 2017 all militarism and wars because they do not guarantee just and sustainable human development. We do not believe in armed struggle because it perpetuates the law of the most powerful. We are living through a process of collective failure at the moment of resolving conflicts: new threats and emergencies — a worldwide refugee crisis, increase of social militarization, the barbarity of terrorism and its policy of instilling fear, all of which extend and provoke polarization and very dangerous demagogic politics. There is war in Syria, a situation that seems to have no end after 6 years of combat that has produced thousands of deaths, millions of persons displaced, and thousands of children disappeared. The recent attacks in Turkey seem to be a prelude to more violence in the future. Afghanistan is experiencing continual armed confrontations of sectarian violence. South Sudan is experiencing ethnic violence. The war in Yemen is a humanitarian crisis with millions of people on the verge of famine. The Democratic Republic of the Congo is experiencing generalized violence, endemic corruption and extensive areas devastated by war. With the tensions between the United States and Mexico over the promises to build a wall on the border and the deportation of persons from the host country, the most powerful actor on the world stage is creating destabilizing uncertainty. Europe is adrift owing to the disintegration of the European project, social dismantling, lack of a political policy other than to just close the borders, and the resurgence of nationalisms and xenophobia. It is a Europe in which the civil society has no voice, cannot undertake any actions, can do nothing, and in which lack of transparency in government is brutal with respect to persons fleeing from armed conflict. Spain is a significant exporter of weapons, 7th in the world. 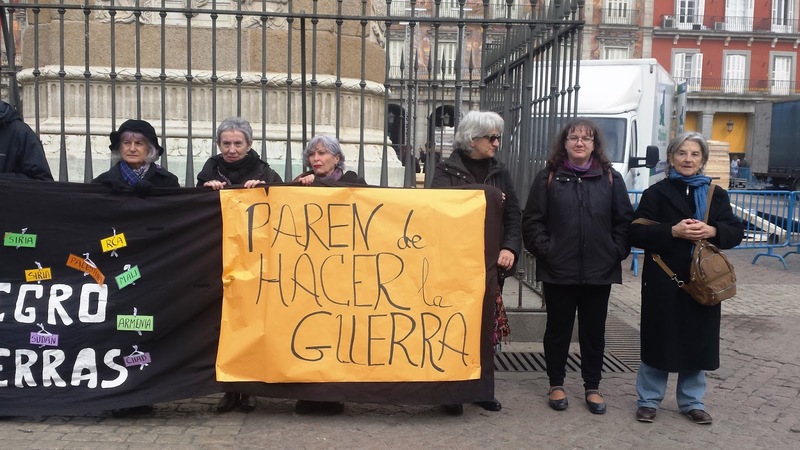 In March, Madrid will be the meeting spot for arms merchants and agents who benefit from the business of war. HOMSEC (Homeland Security and Defense) is sponsoring a trade show for the process of securitization on the national and international agendas, a professional platform focused on national security of a geostrategic nation in relation to Latin America, Africa and the Middle East. This type of event foments the culture of conflict and war, and models of repressive security measures centered on military threats to the territorial and political integrity of the States. These initiatives only contribute to the reduction of rights and liberties in pursuit of a false idea of security. 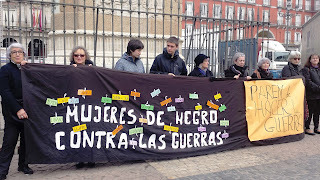 ♀ We support the objectives of the campaign “Opening Borders” and demand that the governments and parliaments of Spain and Europe comply with the international instruments with regard to human rights and the statutes related to refugees and thus cover all the needs of the persons who ask for assistance and protection. ♀ Management of borders of the countries that are promoting repressive migrant policies that lead to death, stigmatization and marginalization of collectives of victims of foreign policies exercised by the very countries of destination are measures that we consider racist and xenophobic and one more step towards fascism. ♀ Urgent measures should be taken to end commerce in weapons that feed the violence and the conflicts that are devastating humanity. 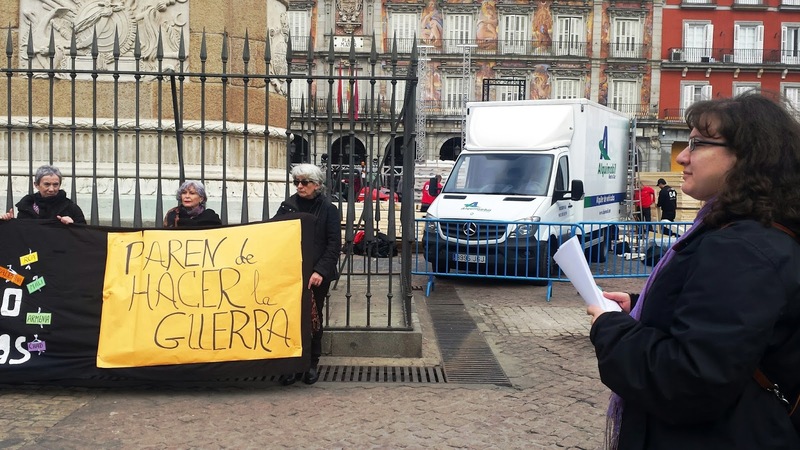 We consider it a positive note that the City Council of Madrid is not supporting the HOMSEC 6th International Exhibition of Security and Defense Technologies. ♀ It is urgent and necessary to give political cover to the activists, agents for peace, and the values that guide their approach of tolerance, understanding, solidarity and empathy. We join with the actions that are to be developed against the HOMSEC event.